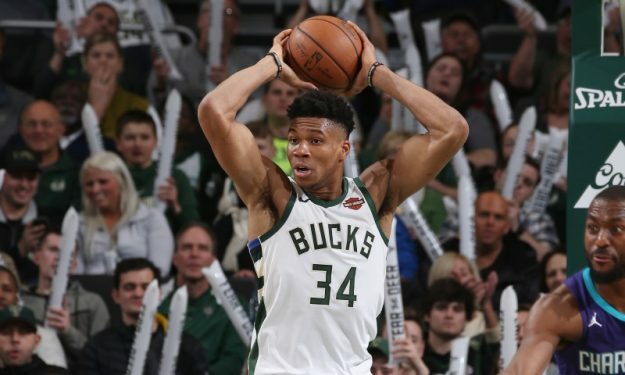 NBA-leading Milwaukee Bucks overpowered the Charlotte Hornets, 131-114, achieved their 50th win of the season and allowed the Toronto Raptors to punch their playoffs ticket. Giannis Antetokounmpo paved the way with 26 points, 13 rebounds and six assists. In other European action, Moritz Wagner posted a personal-best 22 points but the Los Angeles Lakers suffered a 120-107 loss to the Boston Celtics at the Staples Center. Nemanja Bjelica notched a 13-point, 10-rebound double-double from the bench aiding the Sacramento Kings in their 102-94 away win over the New York Knicks. Jusuf Nurkic and Enes Kanter totaled 26 points for the Portland Trail Blazers in their 127-120 victory against the Phoenix Suns. Tony Parker (rest), Mario Hezonja (left leg), Luol Deng (left Achilles) and Frank Ntilikina (groin) were sidelined on Saturday.